Spring is in the air, or is it summer now…? And with the milder weather comes what has become the perennial favorite motorcycle event for spring in the Pacific Northwest, The EuroMoto Show. This year the show moves from its original location at the Lynnwood Convention Center, into the heart of Seattle to new digs at the Seattle Center Exhibition Hall. The new space will feature additional vendors, a used bike marketplace dubbed the “Marche de la Moto” (break out the French books for that one), more demo rides, some intriguing seminars and speakers and a vintage motocross/off-road bike display. Look for OEM's to be on hand including Triumph, Ducati, BMW, KTM, Aprilia, Moto Guzzi, MV Augusta, Vespa, Piaggio and more. Another addition is the ability to buy a bike at the event. Dealers will have all the paperwork and tools they need to get you into a new bike while you're there. Spaces are available for clubs, forums and groups to make an impression at the show. For these spaces and to inquire about additional vendor space, email info@euromotoshow.com. The food options are expected to improve greatly over what was offered in the past as several members from inside Seattle’s food truck community to be on hand for the show. A beer garden is slated as well. Local off-road enthusiasts, Dan Brecht, is creating a vintage motocross/off-road bike display. If you'd like to show yours call Dan at 206-719-2900 or email him at dbrecht60@gmail.com for the details. Also new is a change of hands in the show management department. The first three years the show was promoted by Jim Boltz and Garrett Johnson of the Lynnwood Cycle Barn/Triumph of Seattle. When Triumph of Seattle opted to pull up stakes and move from Lynnwood to Seattle last fall, Johnson handed his portion of the event over to Kevin Davis. 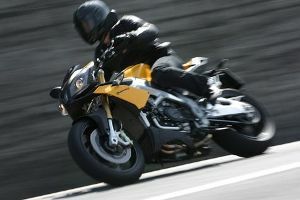 Most recently, Kevin Davis was the General Manger for Ducati Bellevue until the shop was purchased by Howard Crowe, owner of Ducati Seattle this winter. Crowe’s plans didn’t include Davis, which freed him up to focus on the EuroMoto show this winter. Davis is no newcomer to the motorcycle industry in the Pacific Northwest. He has worked at a number of shops over several decades, been a District Manager for Ducati North America and ran The Seattle Motorcycle Show some years ago at… you guessed it, The Seattle Center Exhibition Hall. Tickets will be $15 per person, however as the dates get closer you may be able to nab discount coupons at area dealerships which you can use to buy your tickets online. Free motorcycle and scooter parking will be available on a limited basis. Visit the website for online ticket sales and updates on who's attending. Discount coupons will soon be available at participating dealerships.